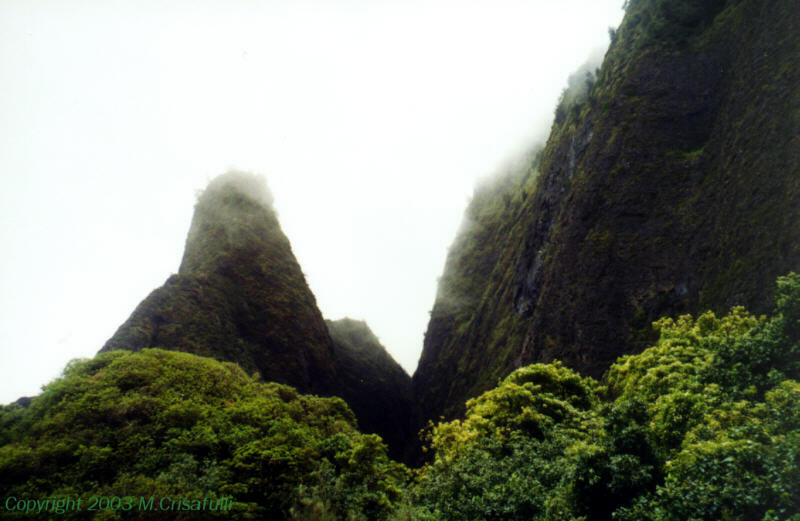 The most well-known location we worked in was Iao Stream, not far from Iao Needle, which was often not as visible in as in the photo below. 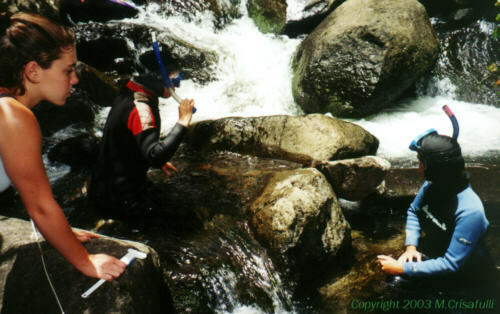 It was mildly amusing to see the tourists who watched us walk down to the stream in our wet gear since much of it was only ankle-deep. 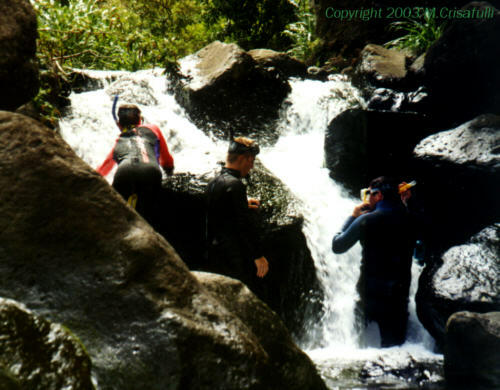 In Iao Stream our major task was looking for limpets and particularly looking for limpets that had previously been tagged. 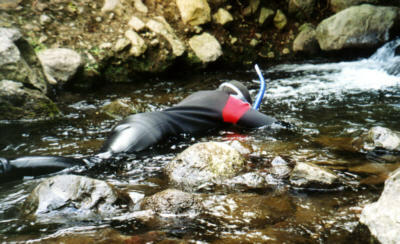 A team of snorkelers would spread out across the stream and examine the stream bed, particularly in high-flow areas between rocks, spots that the limpets prefer. They'd pass all they found to the measurers who sat on the bank with calipers. The measurers recorded the size, the stream location where it was found, and tag ID if it was tagged, and then the limpet was returned to the stream just where it was found. The measurers also maintained a line that was used to keep track of the distance upstream. 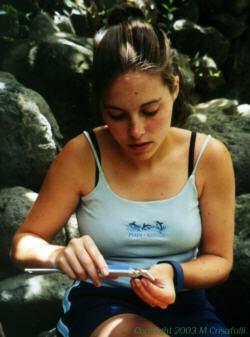 The tagged limpets had been captured by earlier teams, tagged and then released in the stream at recorded locations. Subsequent teams have tracked the movement of these limpets up the stream over several years providing additional data on aquatic activity.